Ask an Editor: What Should an Intern Never Wear to the Office? Welcome to our Ask an Editor series, where each month, I’ll answer questions submitted by our lovely readers. So how does it work? At the end of this story, submit your style- or fashion-related questions, and I’ll pick three submissions to solve next month (and give you a shout-out if one of them is yours!). This month I received many questions regarding office outfit ideas, affordable shopping, and fall accessories. I picked a few of my favorite submissions to feature today, topics that I think will serve a range of our readers. From helping an intern avoid making the number one wardrobe mistake at the office to shopping for budget-friendly leggings, keep reading for my style and shopping insights. Scroll down for this month’s answers, and be sure to leave your style question for me at the end! With the many students starting their first week of the fall semester, it’s a great time to touch on intern office outfit etiquette. Since you asked what not to wear, we’ll start there. The number one item an intern should never wear to an internship is an off-the-shoulder top or dress. During a recent meeting, our co-founder Hillary Kerr shared that she was caught quite off-guard when she saw how many interns wore off-the-shoulder tops to the office. I get it—it’s a huge trend for summer, but leave the shoulder-baring tops for your after-office and weekend activities. Showing midriff earns a close second on what not to wear. My advice? Always play it safe, and if you ever question if an item or outfit is appropriate or not, change; always play it safe with a polished office look. 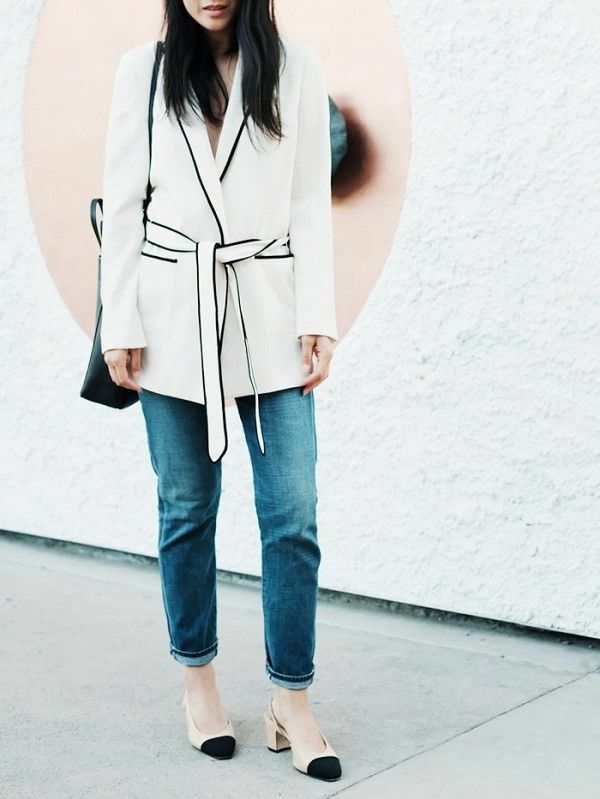 Scroll down for a few stylish intern-appropriate outfits. It’s never a bad idea to hit the reset button on your go-to workout clothing, and if you know where to shop, you can do this on a budget. Now that nearly every brand and e-commerce site stocks an athleisure section, the selection is expansive, and so are some of the price tags. Luckily, our favorite fast-fashion brands have also hopped on the leisure trend and offer affordable and stylish options. Shop my favorite under-$100 picks below! If you’re down to try a statement style, I suggest buying a pair of cat-eye sunglasses, hands down the coolest silhouette in eyewear right now. With just enough polish and edge, the design lends a perfectly sassy touch to any outfit. Shop my top picks below! Be sure to submit your style question in the box below, and like us on Facebook to watch my biweekly Ask an Editor video series!